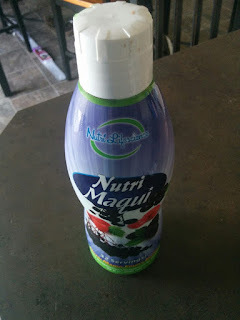 I had the opportunity to try out this Nutri Maqui Antioxidant Supplement. 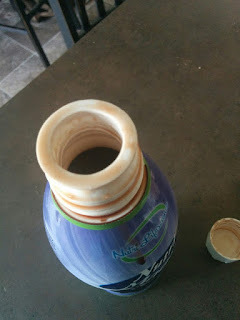 I am always looking for something that tastes good enough so my husband will eat or drink it! He doesn't swallow pills and it is hard getting vegetables into him, so I know he needs better nutrition. I finally found some gummy vitamins that he will take (Thank you, Costco!) but I know that is not enough. So I got this liquid supplement to try. This supplement is made out of different fruits: the dark purple maqui berry, acai berry, pomegranate, elderberry, blackberry and raspberry. All of these berries and fruits are high in antioxidants. The Maqui berry is indigenous to Chile and has been consumed for centuries by the Mapuche Indians to help support energy and immune health. The color is a dark purplish, and the taste to me is like a straight cherry juice (not fake cherry flavor). It is ok, something that my husband will take when I remind him, but it is not something he will seek out on his own. (unfortunately). I do not see taking this long term. I cannot find information about how high of an ORAC value it has, and I think I would rather focus on the fruits from my own yard -- we grow elderberries, raspberries, and blackberries, and also have goji berries among other fruits. And a large garden filled with green vegetables. Once opened, you have to refrigerate and consume within 30 days of opening. There are 32 servings in it. 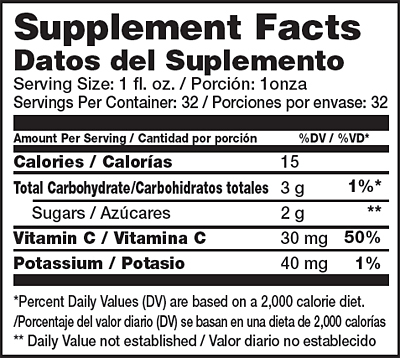 Which means if you are the only person consuming it, 30 days will have passed before the 32 servings are up. That is confusing to me as well. 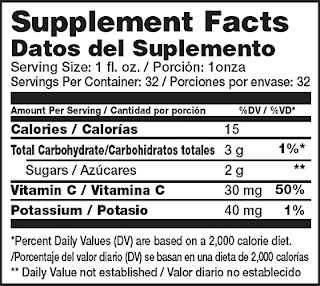 I am just a bit wary about products that don't have a ton of information about them, or cause some confusion -- like the 30 days refrigeration but there are 32 servings in it. I do think this might be a good product, however I think they need to re-label or re-package into maybe 8-oz size bottles, or single serving packets, etc. The products and the information provided about specific products on or through this site have not been evaluated by the United States Food and Drug Administration and are not approved to diagnose, treat, cure or prevent disease. The information provided on this site, is for informational purposes only and is not intended as a substitute for advice from your physician or other health care professional.